Noel Gallagher (born 29.5.1967) Noel Gallagher is the main songwriter, guitarist and sometimes singer of the British rock band Oasis. Oasis rose to fame in the 1990s as part of the Britpop movement. 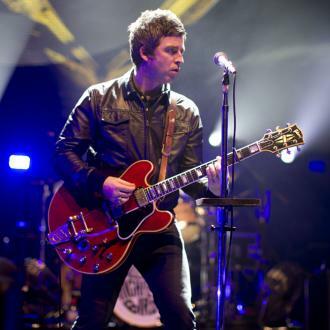 Childhood: Noel Gallagher was born in the Burnage area of Manchester. His Irish parents are Peggy and Tommy Gallagher. He has an older brother Paul Gallagher and a younger brother Liam Gallagher. 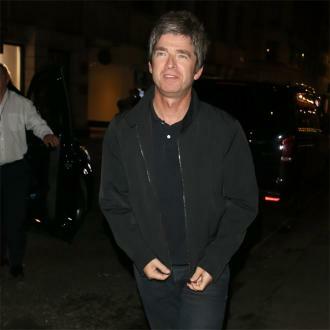 Noel has said in interviews that he had an unhappy childhood and that his father was an abusive alcoholic. Noel developed a stammer as a child and had to share a bedroom with his younger brother. When Peggy Gallagher left her husband in 1976, she took the three boys with her. As a teenager, Noel was often in trouble with the police and hung around with football hooligans known as the Mayne Line Crew. He has stated that watching The Smiths perform 'This Charming Man' on Top of the Pops was the moment that made him want to be a guitarist (thanks to Johnny Marr's guitar playing). He was also a fan of The Beatles, T. Rex, The Small Faces and The Rolling Stones. In 1988, Noel Gallagher met Graham Lambert, the guitarist of Inspiral carpets, at a Stone Roses gig. After auditioning to be the band's singer and being rejected, Noel became a part of the band's road crew. Tom Hingley of Inspiral Carpets has said that Noel Gallagher owes his career to Inspiral Carpets. 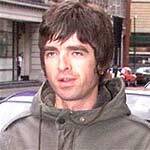 Music Career: When Noel returned from touring the USA with Inspiral Carpets in 1991, Liam had joined a band called The Rain. He joined the band, insisting on becoming the sole songwriter. In May 1993, Oasis travelled to King Tut's Wah Wah Hut in Glasgow, as they had heard that Alan McGee was on the hunt for new talent for Creation Records. McGee signed the band and The Verve's Richard Ashcroft liked the band so much he invited them to open for his band on tour. 'Supersonic' was Oasis' debut single. Their debut album, Definitely Maybe, was released in August 1994. It went straight to number one in the UK and was, at the time, the fastest selling album of British history. When they toured the USA that year, Noel briefly left the band, disappointed with the response they received in that States. He went AWOL briefly and the rejoined the band in Minneapolis. (What's the Story) Morning Glory? Was released in 1995 and became another number one album for Oasis. The lead single from the album was 'Some Might Say'. 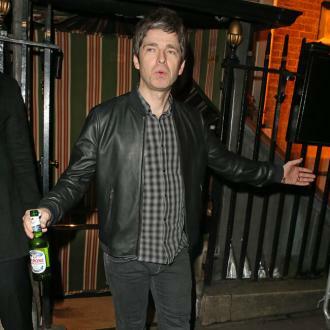 Noel's reputation in the press around this time was created less for his music and more for his and Liam's heavy drinking, partying lifestyle. They were frequently photographed out with celebrity friends such as Paul Weller, Mani and Ian Brown. Noel Gallagher then contributed the song 'Fade Away' to the charity album Help! and was accompanied by Johnny Depp and his girlfriend at the time, Kate Moss. He was also joined by Paul Weller and Sir Paul McCartney and called the band Smokin' Mojo Filters. In the past, Noel has also collaborated with The Chemical Brothers, Ian Brown and The Prodigy. The media created the banner 'Noelrock' to describe a certain type of band around at the time, including The Boo Radleys, Cast and Ocean Colour Scene. The band's third album Be Here Now was released in 1997. At around this time, Noel Gallagher was invited to 10 Downing Street by the British Prime Minister Tony Blair. Be Here Now was followed by 2000's Standing on the Shoulder of Giants. He was publicly criticised for the move, especially by Damon Albarn of Blur. 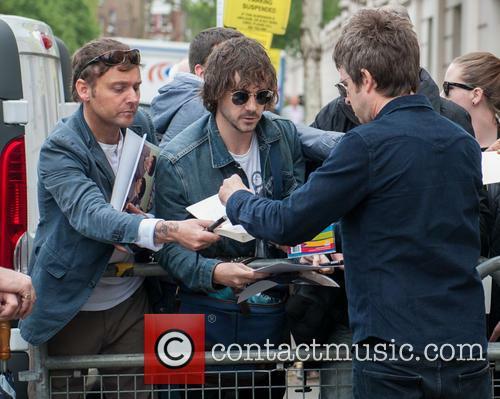 Noel Gallagher invited Gem Archer (formerly of Heavy Stereo) to join Oasis for their fourth album, Standing on the Shoulder of Giants, following the departure of Paul 'Bonehead' Arthurs. When their drummer Alan White left, he was replaced by Zak Starkey, the son of Ringo Starr. Starkey had previously drummed for The Who. 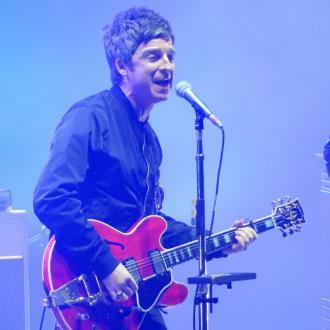 In 2008, Noel Gallagher got himself in hot water when he criticised Michael Eavis for booking Jay-Z to headline that year's Glastonbury festival. Jay Z retorted by walking onstage singing 'Wonderwall', whilst his wife Beyonce looked on. 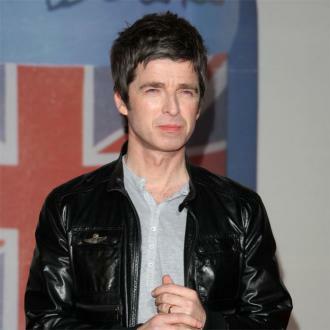 Noel Gallagher quit Oasis in August 2009, following a fight with Liam Gallagher. Personal Life: In 1997, Noel Gallagher married Meg Matthews in Las Vegas. When they met, Noel was actually dating Meg's housemate, the MTV presenter Rebecca de Ruvo. Meg and Noel's daughter Anais was born in 2000 but they divorced shortly after her birth. The grounds for divorce was Noel's affair with the Scottish publicist Sara MacDonald. Noel and Sara have a son together, named Donovan. He was born in 2007. Noel Gallagher is good friends with Russell Brand and often appeared on Brand's BBC Radio 2 show. Noel Gallagher is a keen sports fan and follows Manchester City. He is a close friend of the former City player Joey Barton. He is also a fan and friend of the boxer Ricky Hatton. 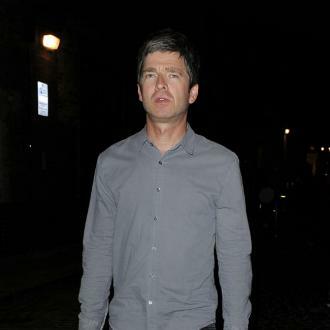 In 2008, Noel Gallagher announced that he was selling his Ibiza home because it was too close to the home of James Blunt, who, he says, makes "terrible music." In an outburst on Twitter this week, Liam described his sister-in-law in pretty disparaging terms, and said she's the reason there won't be an Oasis reunion. The likelihood of any Oasis reunion in the foreseeable future is getting more remote by the week, with Liam Gallagher now hitting out at his brother Noel’s wife, Sara MacDonald, on Twitter, claiming that she is the reason that the Britpop legends can’t get back together. Continue reading: Liam Gallagher Brands Noel's Wife Sara MacDonald A "Witch"
Their Christmas truce turned out to be non-existent. It was an exciting moment at Christmas when it looked like Liam Gallagher and his brother Noel Gallagher were back on track, but it seems their peace was far too good to be true. Liam has just revealed that, far from resolving their 20-year feud, neither of them have met up again yet. 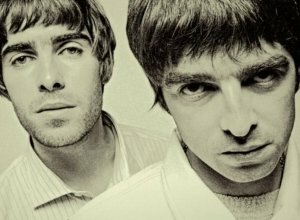 It's been a confusing last few months; both brothers have criticised each other, though Liam has repeatedly said that he misses being in Oasis with Noel. Things seemed to get more positive at Christmas, though since then their relationship has only gone back downhill. British rocker Liam Gallagher has hit out at Sacha Baron Cohen, saying he is ''full of s**t''. Liam Gallagher thinks Sacha Baron Cohen is ''full of s**t''. The 45-year-old rocker has hit out at the British comedian, who previously claimed that Liam once threatened to ''stab him in the eye'' at a party. 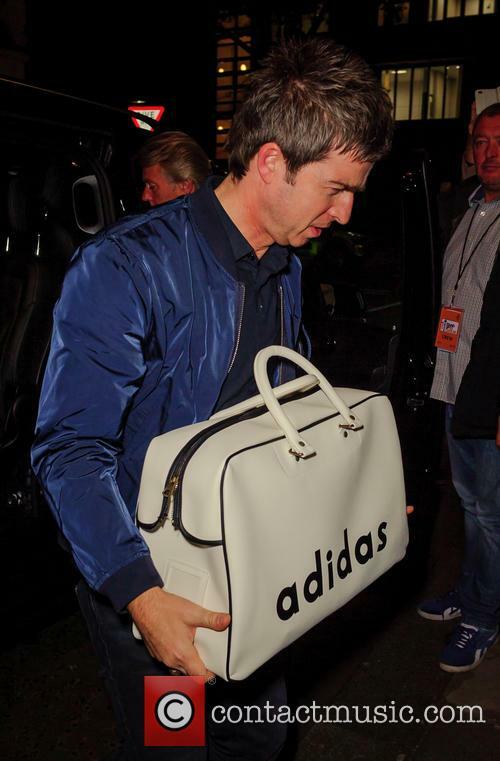 Liam said: ''That f***ing geezer Sacha Baron Cohen. He's full of s**t, mate. Was that after I f**kin' threatened to stab him? Was that that one?